Our mission is to help impact the lives of the people within our communities by addressing the needs of local residents through community outreach service projects. Our research shows that the concept of social responsibility continues to rise in popularity and is an increased focus of many corporate and entrepreneurial teams and organizations. More and more, companies are demonstrating the desire to create a positive team building experience while contributing to their local communities through engagement and social responsibility activities. If you want to inspire your team or organization to greatness, then there is nothing better than a community service-based team building experience. Provide your employees or group members with a fun and rewarding experience. Address real community needs, allowing you to make a true social impact. Open up the lines of communication and build a stronger team. Elevate employee or client pride, thus improving recruitment and moral. Whether you’re a team supervisor, manager, or business owner, we know you are always on the look-out for new ways to open up the lines of communication, stay connected to your employees, and build a better team. There are a multitude of team building games, activities, and seminars to take advantage of, but which one is right for you, your business, and also matches with your overall goals and mission? That’s where we come in! We’re expert team builders and facilitators, and we have established deep connections within the community in Hartford and the surrounding towns. 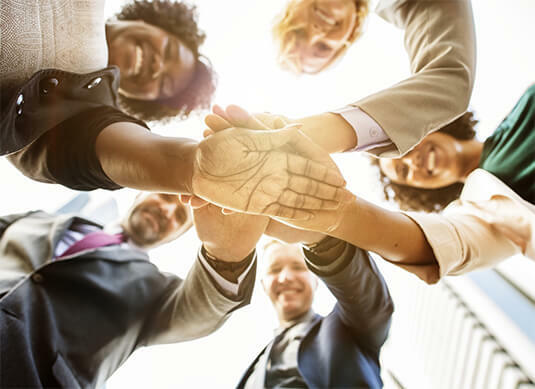 We can not only connect you and your organization to the right activities, but our involvement ensures you’ll have total alignment with your company’s mission statement and values, while ensuring your team members are engaged, excited and aligned together to be successful.